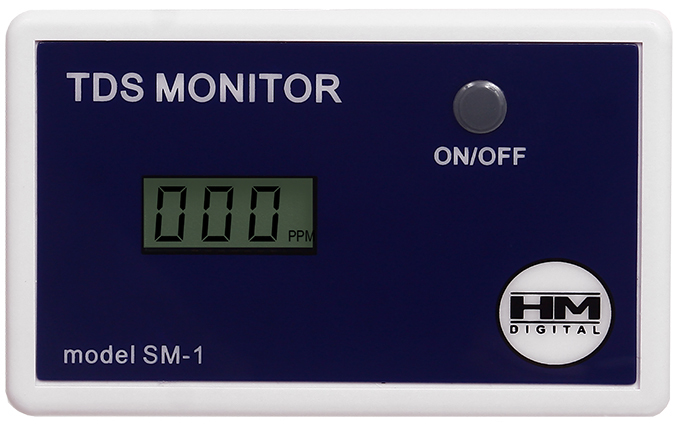 HM Digital In-Line TDS Water Quality Monitors for Home RO Systems | Applied Membranes Inc.
HM Digital Dual TDS Monitors measure the tap water coming in vs. the purified water going out of your water filtration system at any time. 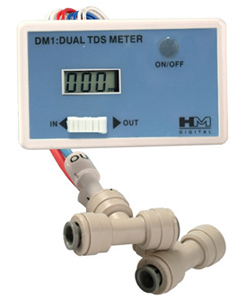 Single TDS Monitors, ideal for any water filtration system including reverse osmosis systems, coolers and more, display TDS level of a single water line. 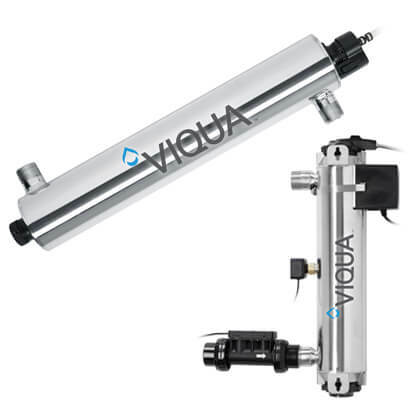 Install on a home RO System to measure and display the TDS levels of the purified product water and/or incoming feed water. 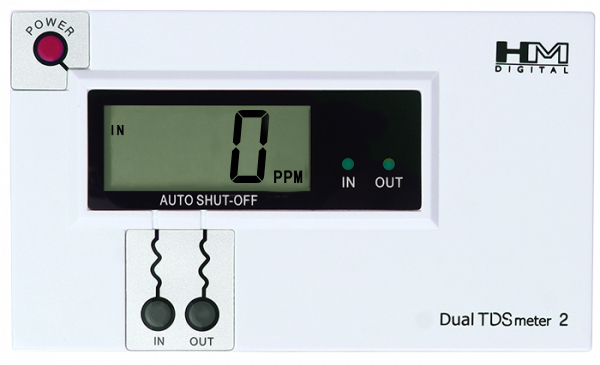 Auto-Off function conserves battery power. 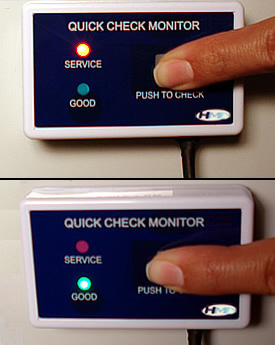 The monitor shuts off automatically after non-use. 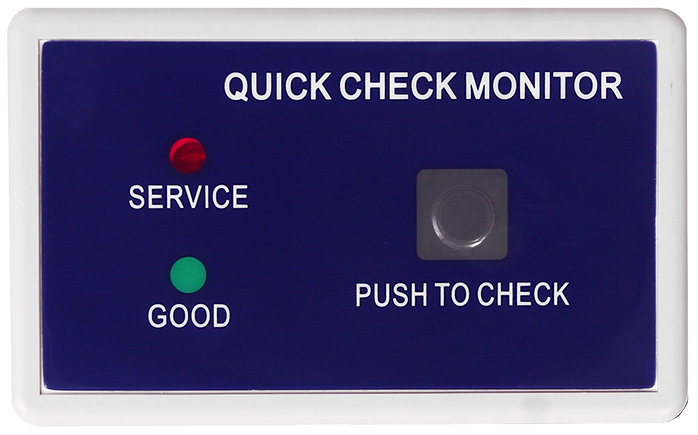 Quick Check “Push to Check” Monitor with Green “Good” and Red “Service” Lights. Eight programmable set points. Factory calibrated with a 342 ppm NaCl solution. 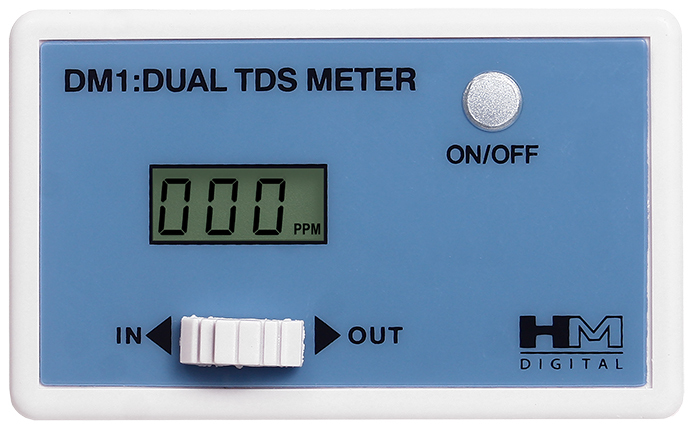 TDS Meters can be recalibrated with a mini-screwdriver.